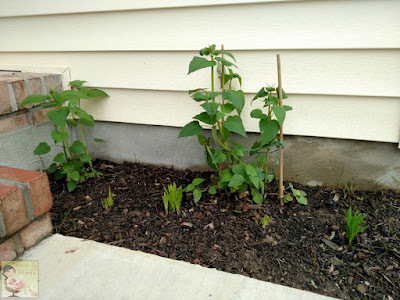 It's been a few weeks since I shared my garden that was starting to show some green. 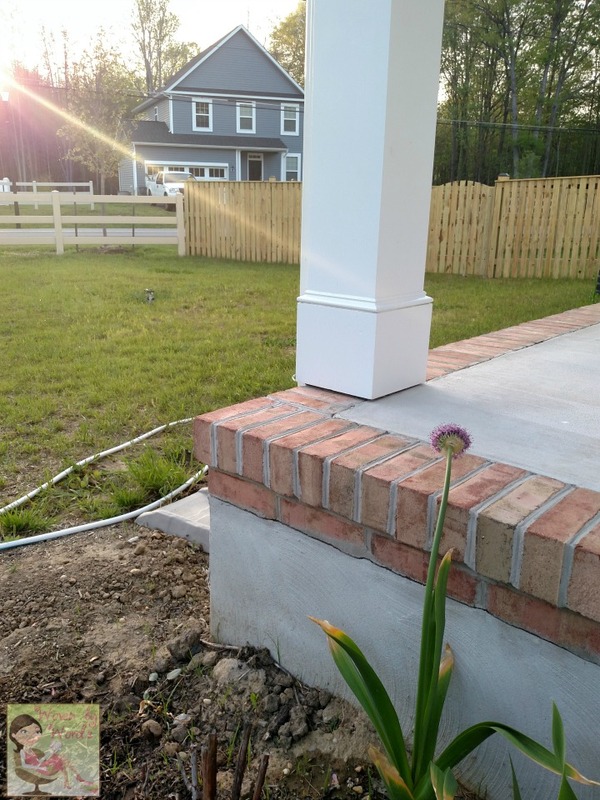 When Fred moved into his house, I planted some flowers in his front yard. I wasn't thrilled with a couple of them, and a few didn't make it. Then when we were in Minnesota last July, my friends and I dug up a bunch of plants from my perennial garden at my old house (my ex still lives there) to bring back to Maryland with us. Thankfully, the builder of the house put some (a minuscule amount) of black dirt where he laid the sod, so some of that ended up in the garden. I have a feeling I'll have to take my plants out, till up the clay, and add good soil at some point. Good thing I love getting dirty! So let's see how far we've come in just a few weeks from where we were with my garden. At the top of the photo is a Jacob's Ladder. I think it was the main part of the plant because it's larger than the other three splittings. Then there's a big empty spot that I wasn't sure what was about to blossom. Along the wall is a spiky thing, that's similar to the very bottom left of the photo. I had NO clue what those were. I hadn't planted any bulbs when we moved in so it was going to be a surprise. Then there are a couple more Jacob's Ladders. Next to the Jacob's Ladders by the fence is a small red something or other. I wasn't exactly sure what was coming up. Then there are my iris, and they haven't changed at all, just getting bigger. At the bottom of the photo is a brown clump of sticks. I'm holding out that God will do a miracle (ok, not really) and breathe some life into my golden raspberry plant that my best friend got me 5 yrs ago. My youngest wanted it to come with us, and that's why I want it to do something more than anything. So, here's what we have going on in the garden now. The green spikes at the top and bottom are Alliums! I had globe ones back at my first home in Minnesota. I don't recall planting any here, but who knows. Maybe I did. I'm just happy to see them. They're not a globe one, but they're beautiful and have a lovely fragrance. What I love about these was at the end of the day, they seemed to have been following the path of the sun. Check this one out, it's stretching towards the last rays of the evening. 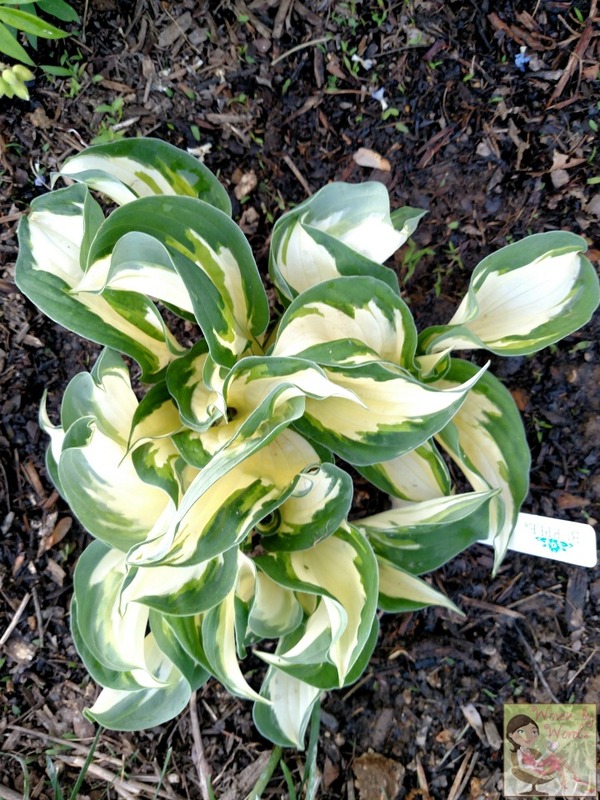 Then there are two of the hostas that I got at Menards while I worked there. I actually didn't think any of them made it, and they certainly didn't look like I remember them when they'd come up so I had no idea they were still here!! I brought several of them with me, and only 2 made it through. 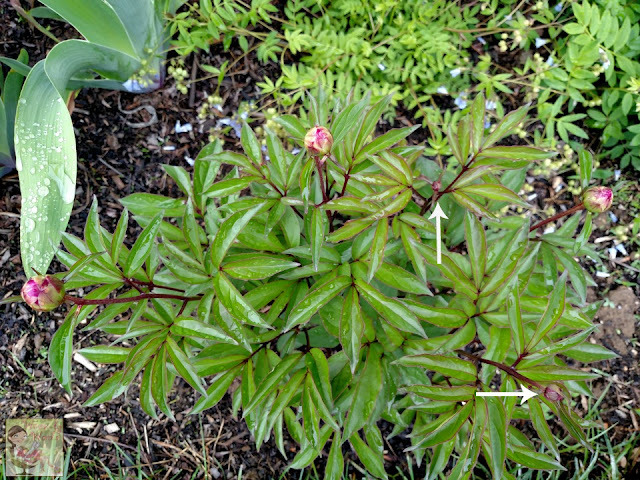 Next, the little red stubs that were sticking out midway down turned out to be one of my peonies. It's not the favorite one I had that was in the front of my old porch. It was the one that sat in the back and I didn't really future. Yet here it is, coming back to life in my garden! Then again, maybe it'll turn out to be the other one. I only have small buds on it right now. lol I have no idea what's going to come out of those buds. I haven't seen any ants around. Ants are what get the flower to bloom! Hopefully they'll show up soon to get them to show off their beauty! And if this doesn't turn out to be my favorite peony, I guess that just means I need to go buy a new one. I added to my collection earlier this week because my friend Deb was letting people come split some of her plants. It took us an HOUR to get through her whole yard. I came home with two bee balms, a lambs ear, and a clump of smaller irises. 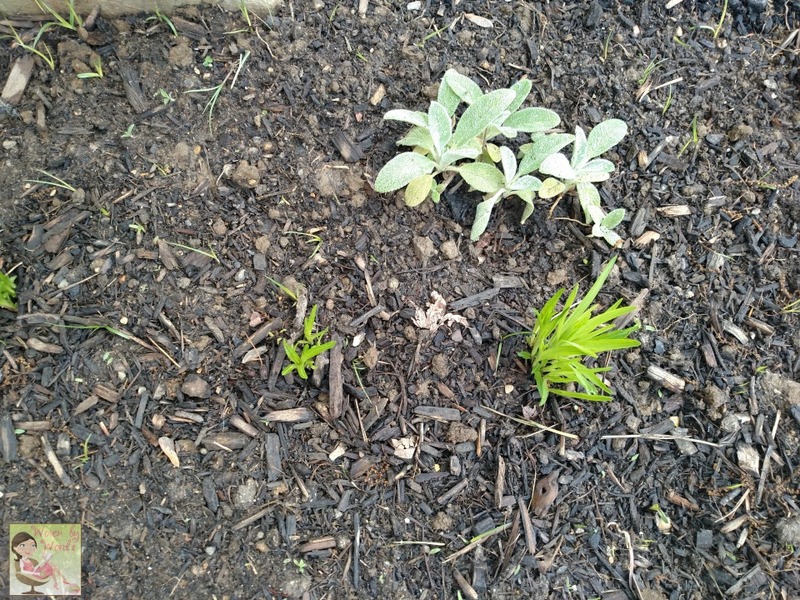 Next to the lambs ear is liatris that I planted about a month ago. I should have about 4-5 of those coming up next to the garage. 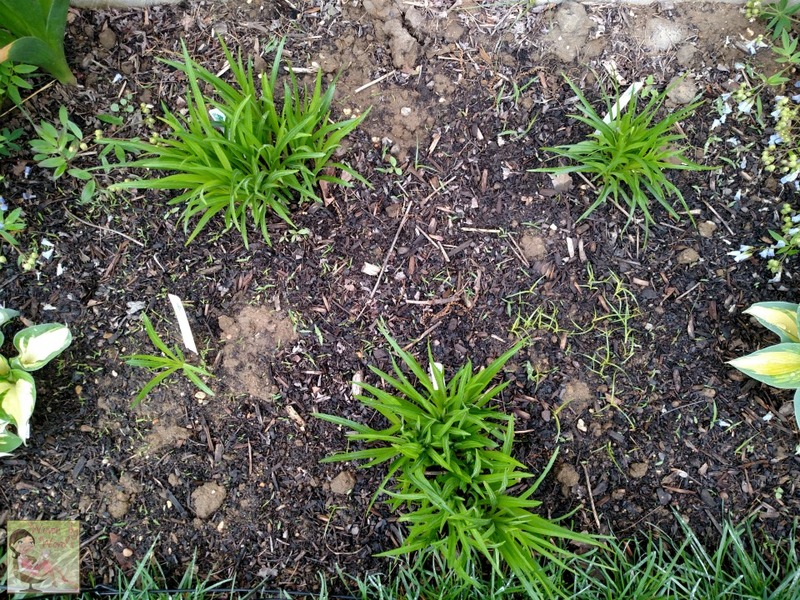 And to top things off, I have no clue what these clumps of green are. 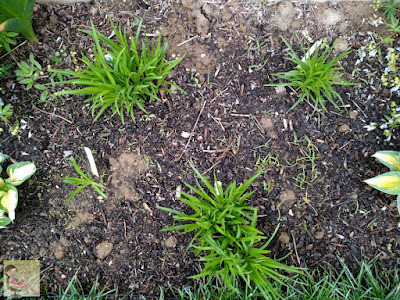 They're small bulbs that I ended up splitting accidentally when I didn't realize they were bulbs. 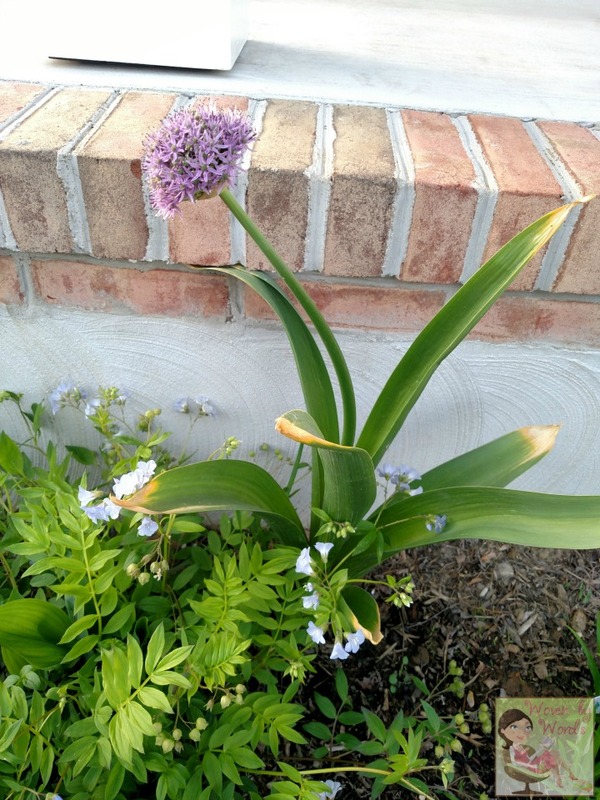 Looking forward to finding out what they are when they bloom. 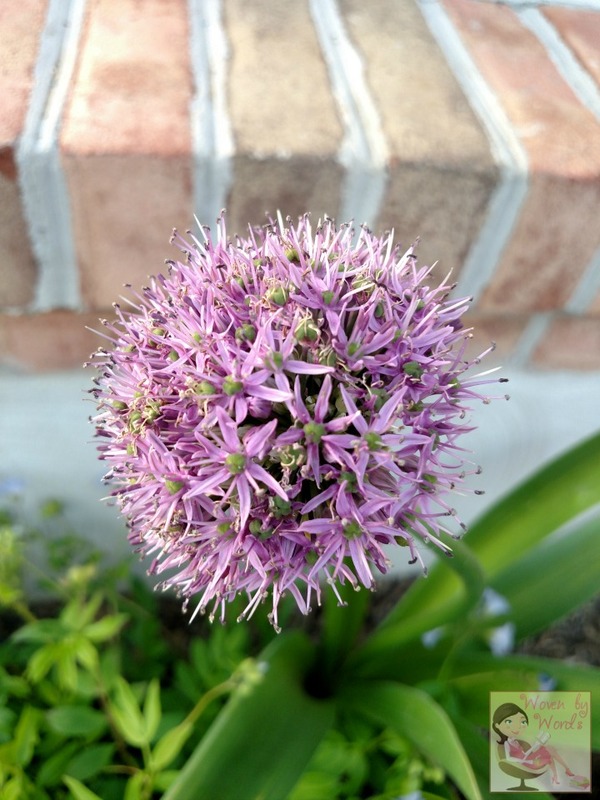 What do you have growing in your garden this year? Your garden looks beautiful! 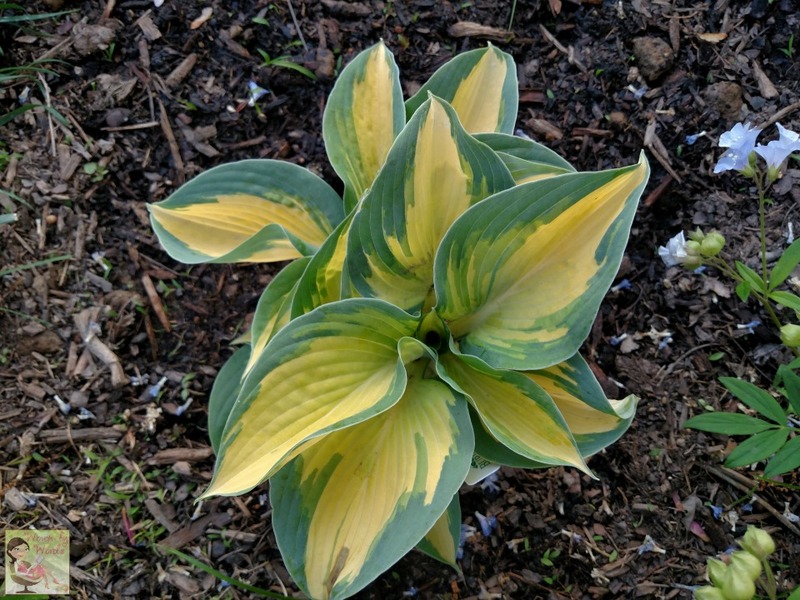 I've never seen hostas before. They are very unique and I like the pattern on the leaves. 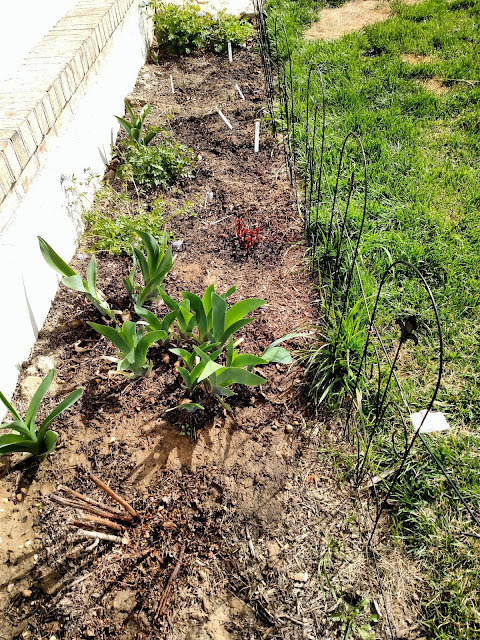 Our grape plants and fruit trees are starting to grow fruits in our garden.